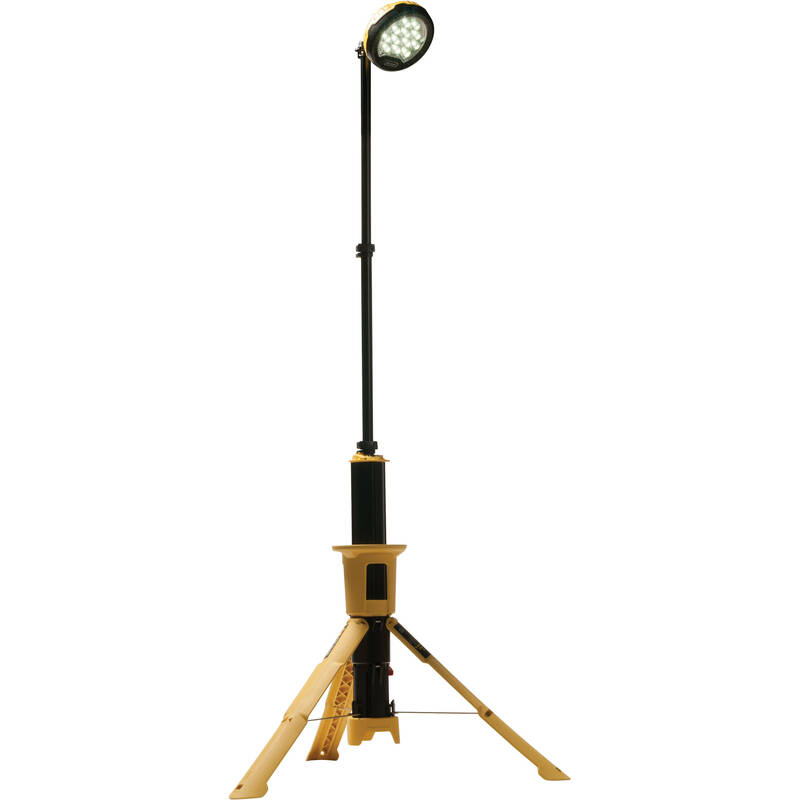 Make sure you have a spotlight even where the utility lines don't run with Pelican's yellow 9440 Remote Area Lighting System Gen 2 (RALS). This model comes equipped with Bluetooth connectivity capability to Android and iOS mobile devices running a free app. The app gives users control of the on and off with a slider to precisely choose the output from zero to 100%. 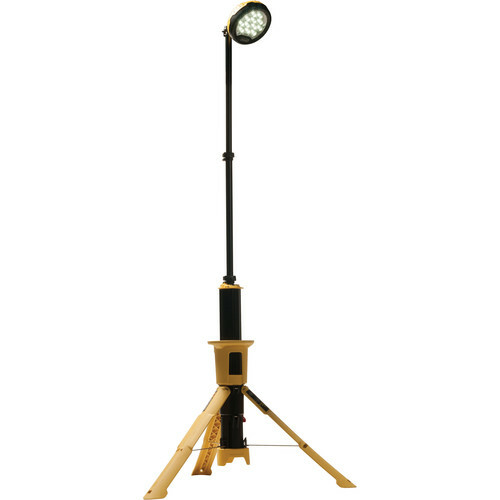 The RALS is defined by its unibody construction and easy set up while delivering up to 5300 lumens of light with a 125° beam spread to illuminate a job site, work space, staging area or emergency scene. The top mast extends up to 7' and rotates, while the head pivots up and down to allow users to precisely put light right where it is needed. The RALS collapses and folds up neatly into a single unit for easy transportation or storage, and the included shoulder strap makes carrying it with other gear easier. An integrated tripod leg system provides a stable base even on unsteady terrain. Arm extends head up to 85"
Box Dimensions (LxWxH) 41.5 x 9.5 x 9.2"
is it can charging with 230V using in Europe ? Asked by: PHAM TIEN K.
Unfortunately, the charger for this light is only for 110VAC. A transformer would be needed in order to charge the battery on 230V. The TOPOW ST-200 Step Up / Down Transformer (200W) B&amp;H # TOST200 is an option to consider. You may obtain the replacement cable through Pelican directly by calling 1-800-473-5422.